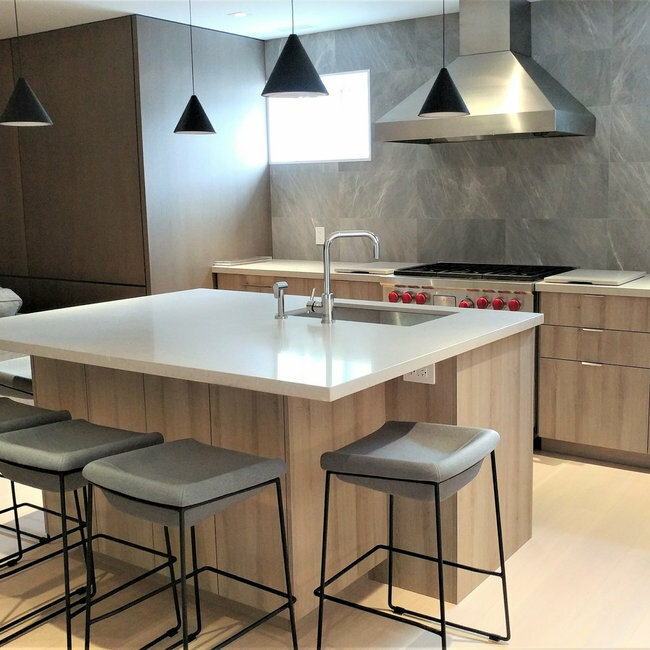 Custom made Kitchen and Bar. Design by: Noble Craft, Build by: Millard Bautista Designs. 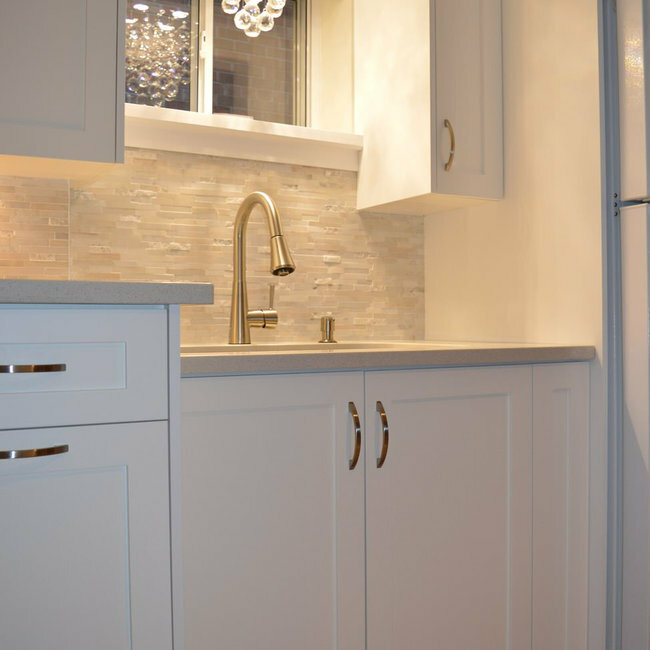 Shaker style with white post Cat finish, all solid wood dovetail drawers, all soft close hardware, soft close pull out garbage, under sink tip out, spice rack pull outs, wine storage, pantry pull outs and much more! Amazing entertaining space. Custom made Kitchen- 4 incorporated fridge drawers, rift sawn accent walls with a custom finish, all soft close hardware, built-in garbage with soft closing hardware and incorporated dishwasher. Built-in storage beside fireplace. 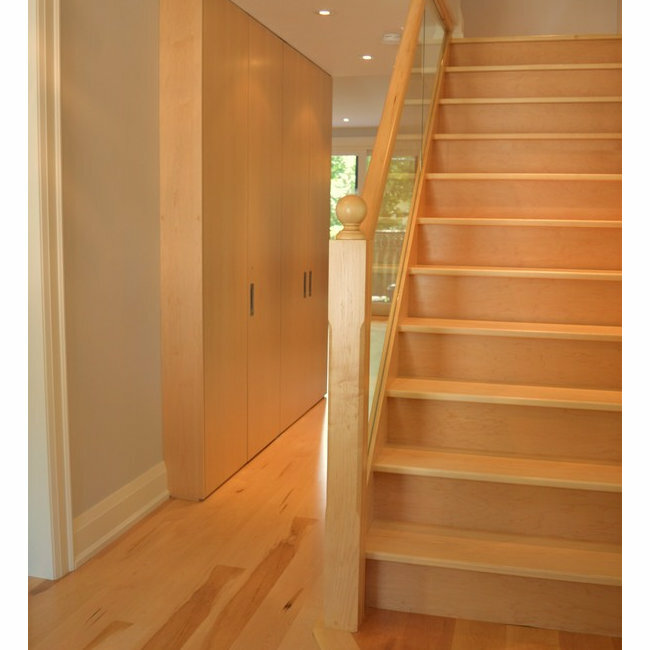 Custom Built-in Foyer Cabinetry- Cabinets made from pre-finished maple (inside) and solid maple (exterior) and doors. 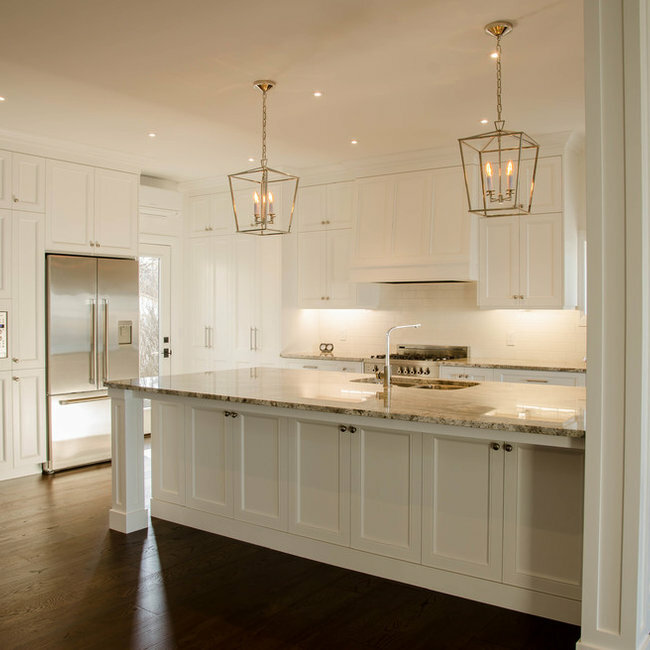 Solid maple shaker style doors and drawer fronts, finished in a BM Chantilly Lace white. Solid maple bench and drawer cabinet top, finished in a honey brown stain. 3 Solid maple dovetail drawers with under mount soft closing slides. Soft closing door hardware and shelves on upper cabinet. Complete Kitchen Renovation- new cabinets, back splash and counter top. Framing, dry walling and taping of new section of bulk head above the fridge. All soft closing hardware. 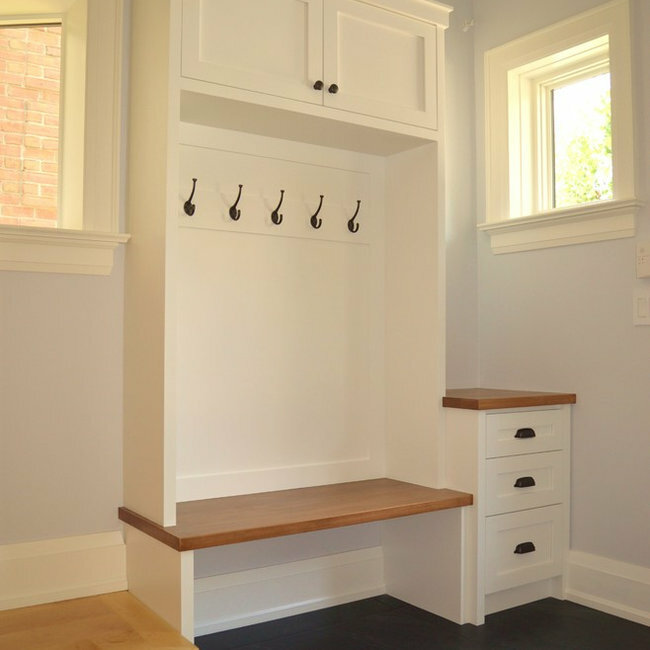 Also converted hallway closet into a pantry and storage area. 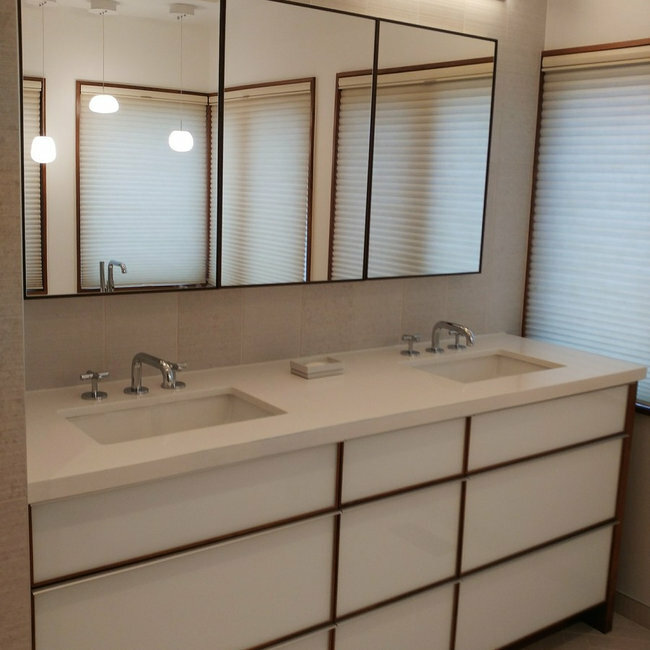 Custom built cube millwork around powder room, closet and kitchen cabinets. 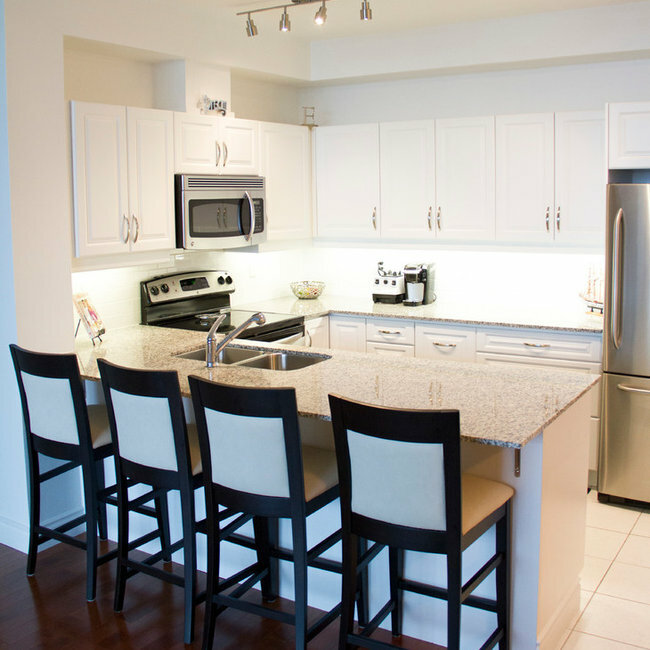 Maple veneer with clear finish, 3 floor to ceiling doors, and nook for kitchen cabinets, wine fridge and microwave. Mortised recessed handles and lock in powder room. Rack and pinion hinge system were used for all three doors. Complete Kitchen Renovation- New cabinets, pantry, tile, flooring, back splash and counter top. 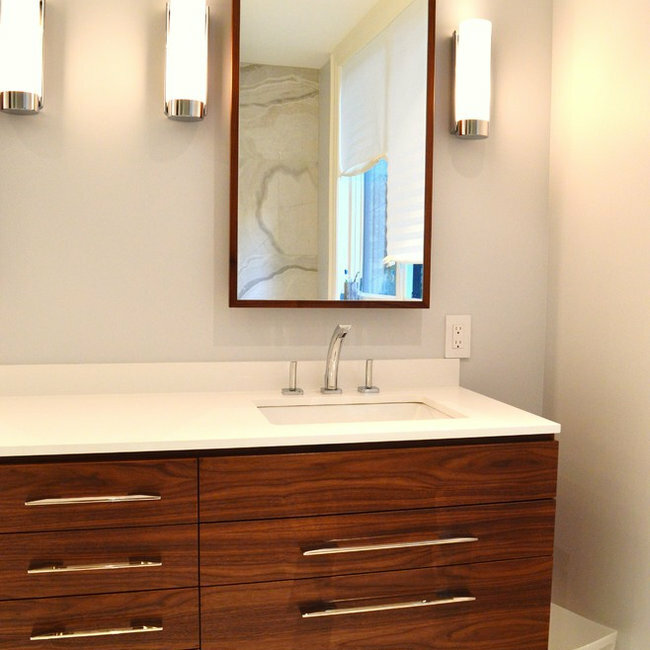 Walnut Floating Vanity and Matching Medicine Cabinets, with solid maple dovetail drawers, and soft closing slides. Medicine cabinets have 3 adjustable glass shelves. 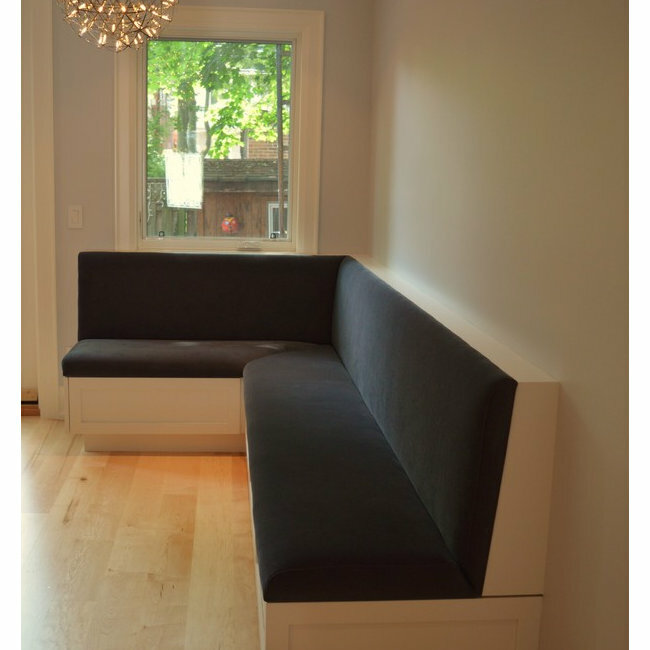 Custom Built-in Banquette for kitchen/dining room area. Upholstered in a Century Collection #6, 90,000 double rubs with a 3" thick cushion on the seat and 2" thick cushion for the back rest. Cabinetry made from pre-finished maple (inside) and solid maple used for the drawer fronts. Drawer front is a shaker style and finished in a BM Chantilly Lace white. 4 Solid maple dovetail drawers with under mount soft closing slides and custom made pull on the back side of the bottom rail. 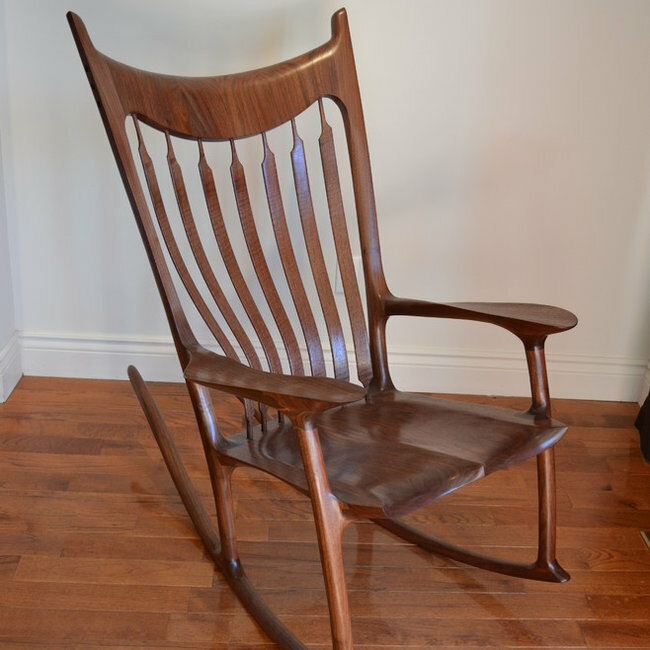 Great project to build and beautiful finished product! 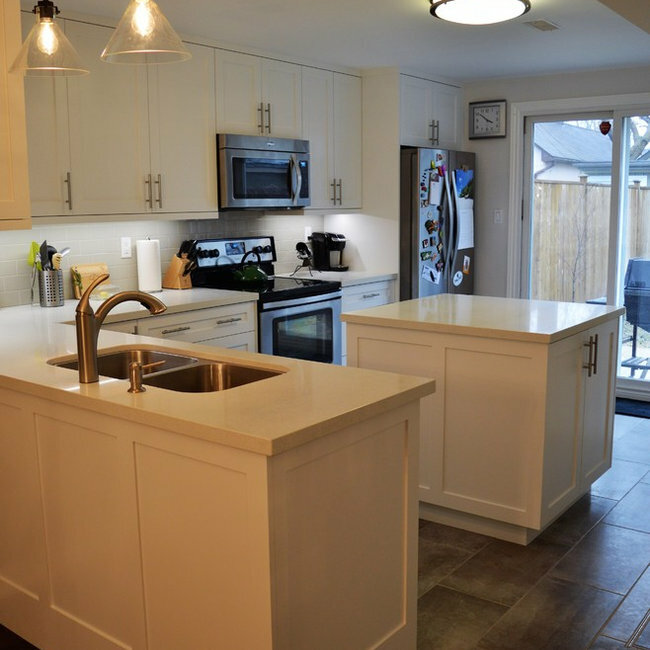 This project included all new cabinets, sink, counter top, back splash, and under cabinet lighting. It also has special features such as: a custom made drying rack above the dryer, an ironing board, and pull out shelves for laundry products. 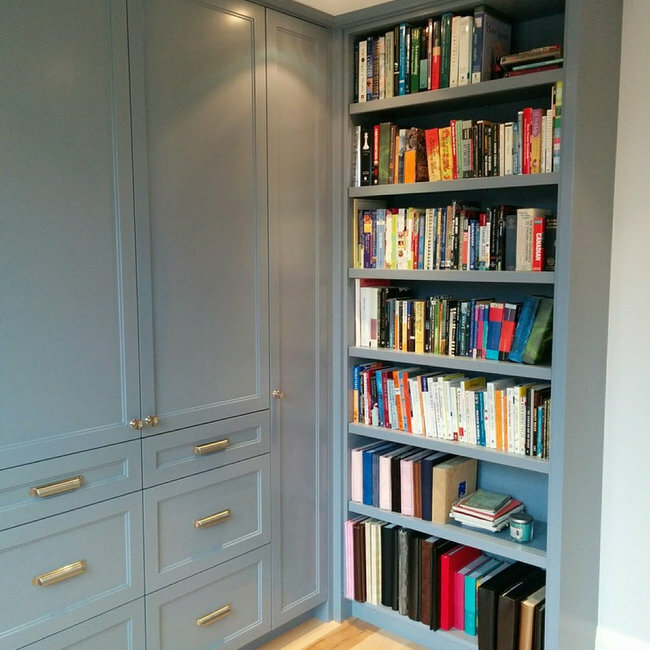 Built-in cabinetry for home office. All soft closing hardware. Custom built. Finished in a post cat lacquer, BM Oxford Gray.